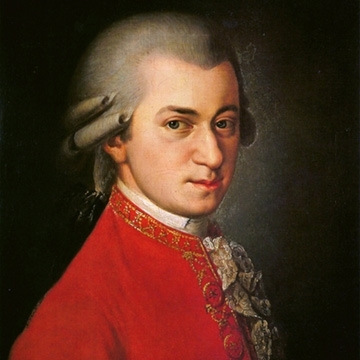 The story behind Mozart’s Requiem is a total page-turner; from the odd commission, issued anonymously from Count von Walsegg (who intended to pass the work off as his own to commemorate the death of his wife) to an already-ill Mozart who believe he had been cursed to write his own requiem, through his first attempt to take on writing a Mass for the Dead and finding an extraordinary voice in which to do so, to his untimely death at the age of 35, leaving it only two-thirds completed. To add further intrigue, when the unfinished manuscript was displayed in Brussels in the 1950s, it was discovered that a section had been torn from the last page. As Mozart worked on the Requiem on his deathbed, it’s highly likely that someone stole the last notes ever written by the composer. It’s no wonder Hollywood made a film about it. All drama aside though, Mozart’s writing fuses all his historical researches in counterpoint with his own advanced style into a piece that is extraordinarily powerful and uniquely heartbreaking. The Requiem looks death in the face in an attitude of profound sadness and loss throughout, though the sublime Recordare gives a glimpse at the serenity of Paradise. The heart-wrenching beauty of the work is a stunning and revolutionary final work from one of the world’s foremost musical geniuses.